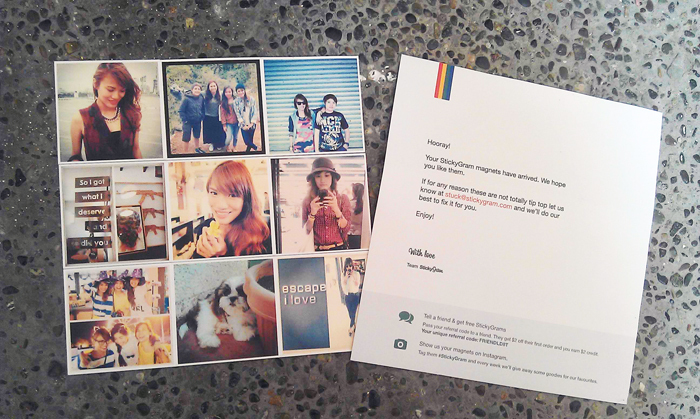 What's New & Hip: STICKYGRAM + Giveaway! If you are addicted to Instagram, then you'll definitely go cray cray over this!!! Stickygram founder (Hi Andy!!!) emailed me last month introducing their new product and invited me to check it out. I'm an Instagram fan so the word Stickygram killed the curious cat (me, hehe). Checked the site out immediately and gave it a try. All it took was 10 minutes to order, half of that I spent choosing my favorite photos (I have 800+ noh so it was haaard haha). Anyway, got my package / magnet sheet less than 2 weeks later and I love it!!! As in I can't stop showing it to everyone. Haha. It's definitely on my Top 5 lists of gifts to give to loved ones or rich people who has it all. Haha. Here o!!! 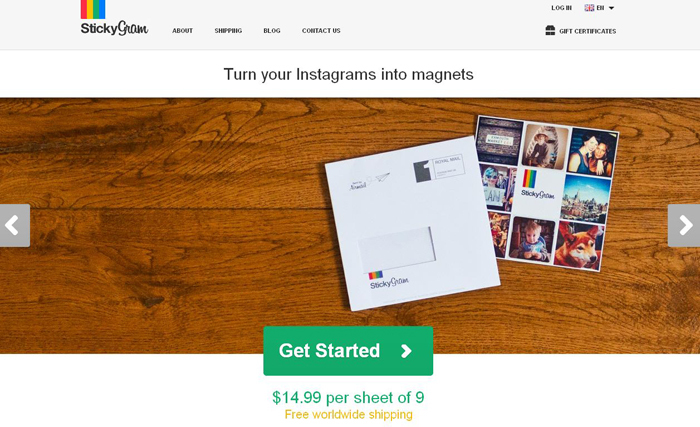 Basically, they turn your favorite Instagram photos into magnets!!! A sheet of 9 photos is just $14.99 with Free Shipping! 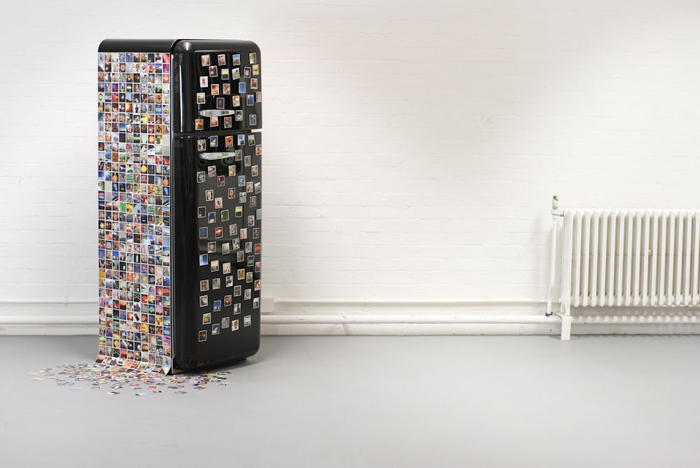 ...or just stick them all up on your fridge! Hehe. Ordering is easy as 1-2-3. Lookie! 2. 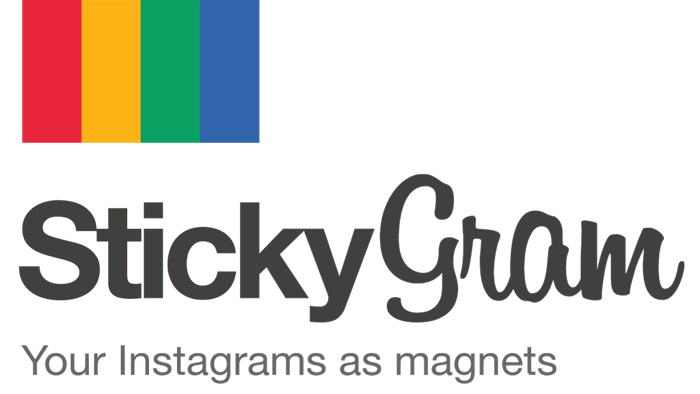 Follow Stickygram on Twitter, Instagram and Facebook! 3. Share this giveaway on Twitter, Facebook, Instagram or your blog. Don't forget to tag Stickygram! :) No need to tag me. 4. Leave your name, email, and URL of your posts below. Contest ends May 5, 2013. Goodluck!!! I ordered na from them, but never gotten my sheets :( Super ganda pa naman the idea!